Stacey Milunic, MD, is originally from the Pittsburgh area. She attended Penn State University as an undergraduate where she majored in Math. 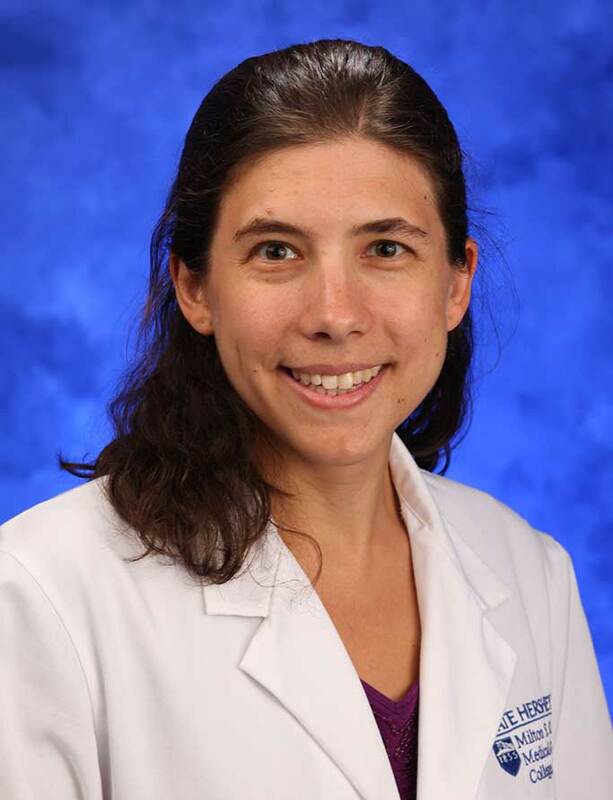 She attended Case Western Reserve School of Medicine in Cleveland, Ohio, and then returned to Pennsylvania to complete a Family Medicine Residency at Lancaster General Hospital. Upon graduation, she joined the faculty at Milton S. Hershey Medical Center. Dr. Milunic enjoys practicing full-spectrum family medicine, including both inpatient medicine and obstetrics with deliveries. She particularly enjoys working with residents and precepts in multiple settings, including: Inpatient adult medicine, labor and delivery, newborn nursery, and outpatient care. As a result of her interest in maternity care, she directs the annual Advanced Life Support in Obstetrics (ALSO) course and supervises prenatal care at the Nyes Road I office.